Every Olympian dreams of achieving their best performance by setting a goal and working hard toward it. This stately piece evokes a feeling of pride and accomplishment, and is perfect for reinforcing your students' skills of counting and playing rhythms using quarter, half, and whole notes, notes in the D Major scale, lifts, and starting up bow. Viola part doubles 2nd violin. 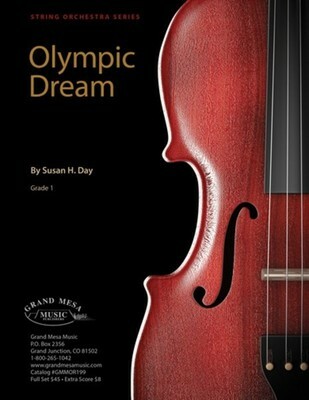 Your students will be inspired to perform like proud Olympians!